The Kissing Crane Heirloom series was designed with family tradition in mind and handmade in small batches by skilled knife makers. The classic knife was built to endure everyday use and have the longevity to be passed on to the next generation. The razor-sharp, 3 1/4” 1070 high carbon spring steel clip point blade has a nail nick for ease of opening and a slick, mirror-polished finish. 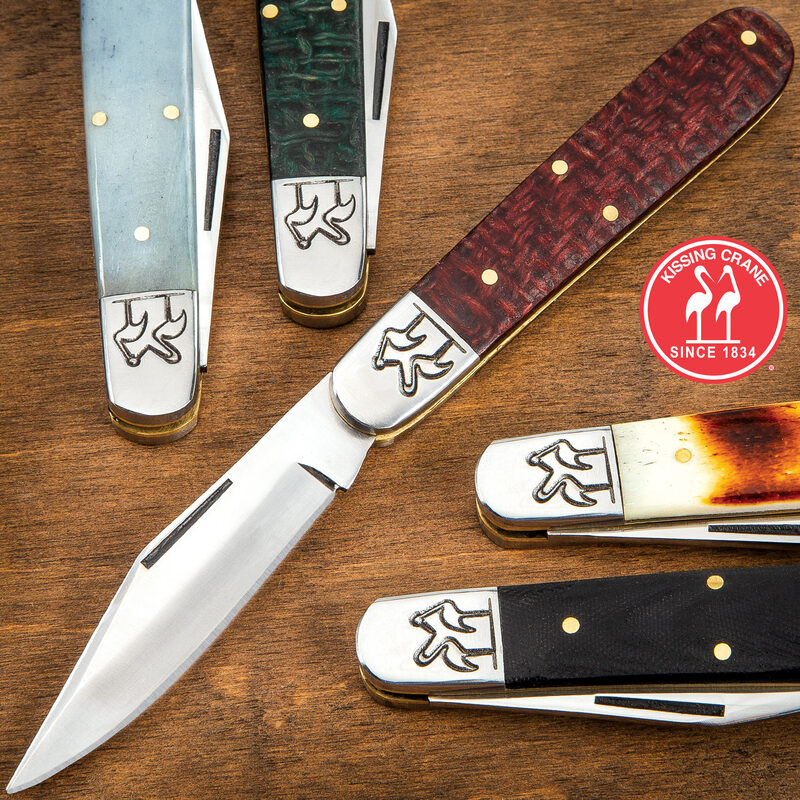 The handle scales are secured by brass pins and the stainless steel bolster features the Kissing Crane logo. The barlow pocket knife is 4”, when closed, and has a premium brown leather pocket sheath to ensure that it's not scratched in your pocket.